With less than a month left before the US elections, Hillary Clinton and Donald Trump are pulling no punches as they head into the second presidential debate on Sunday night at the Washington University in St. Louis, Missouri. 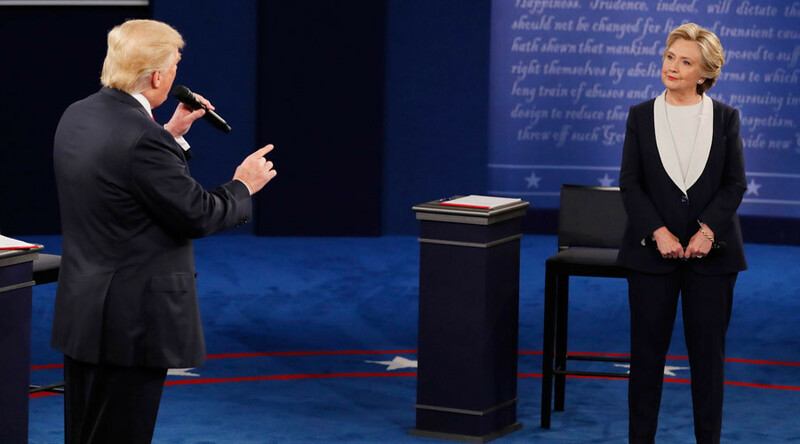 The “town hall” style debate follows Friday’s revelations about candidates – Trump’s crude remarks about women during a television shoot in 2005, published by NBC, and hacked emails that included Clinton’s Wall Street speech transcripts, published by WikiLeaks. Audience Guy: "What's one thing you respect about Donald Trump?" Hillary Clinton: "Five people who are not Donald Trump." On what she admires about Trump, she said she respects his children. She said that his children are incredible and she respects what he did for them, although she disagrees with "nearly everything he says." "This is not an ordinary time or an ordinary election," she said. She emphasized the time she has spent working with parents and families. Hillary responded to the renewable energy question saying, "China is illegally dumping steel in the US and Trump is buying it." She also focused on the need to remain energy independent so as to avoid relying on the Middle East and staying out of their conflicts. “I will say this about Hillary. She doesn’t quit, she doesn’t give up. She’s a fighter... and I respect that,” Trump said about Clinton, getting the last word in the second debate. “The EPA is killing our energy companies,” Trump said. “I am all for alternative forms of energy, including wind, solar, etc. But we need to go beyond,” he added, from clean coal to natural gas. 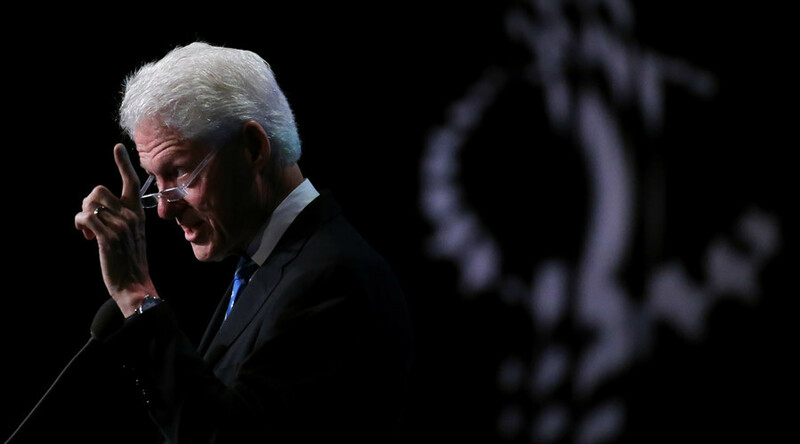 Clinton quickly noted her support for the Second Amendment, but reiterated the need for background checks and closing both the gun show loophole as well as the internet loophole. The next question was about the Supreme Court. Among the 20 jurists Trump is considering are people who will defend the Second Amendment, which he described as “under siege” from Clinton. On nominating Supreme Court justices, Hillary said "I think the current court has gone in the wrong direction so I would want to see the Supreme Court reverse citizens united" and decried Trump's potential nominations for not supporting Roe v. Wade and would potentially overturn marriage equality. Answering a question about discipline and tweeting at 3 am, Trump called Twitter "a very effective form of communication" and brought up Clinton's own ad about the 3 am phone call. “I would be a president for all our people… who would give strength to all, and bring jobs to people,” he said. He describes inner cities as having 45 percent poverty, where education is a disaster and jobs are nonexistent. Replying to Clinton's rebuttal, he said, “We have a divided nation, because of people like her. She has tremendous hate in her heart." 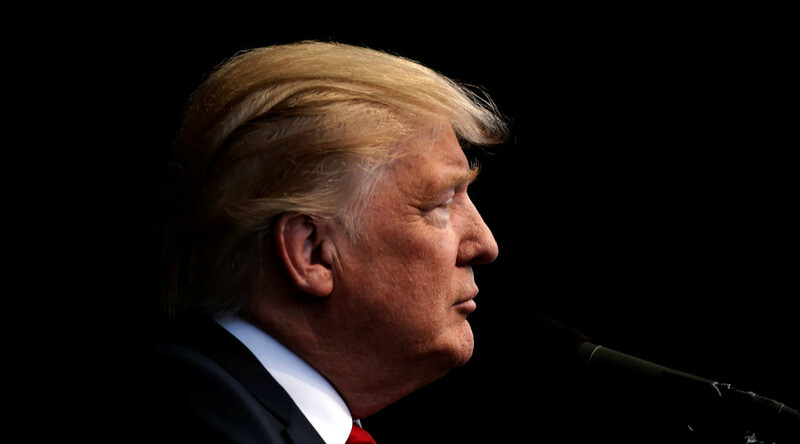 Could the Republican Party oust Trump as their nominee?